Double the personality, twice the fun in ONE’s latest rom-com starring Hyun Bin! Singapore, 18 February 2015 – Fans of Hyun Bin, rejoice – appearing soon on ONE is the most sought after leading man in South Korea today as he takes on his first ever double role. In Hyde, Jekyll, Me, the 32-year-old actor plays Goo Seo Jin, the director of a theme park that looks as magical as it sounds, Wonderland. But there’s a catch: a far cry from his joy-inducing workplace, Goo is snooty, finicky and has a weak heart. He also suffers from multiple personality disorder. One day, Goo meets the beautiful and opinionated Jang Ha Na (Han Ji Min, Rooftop Prince), who happens to be the manager of his theme park’s circus troupe. She falls in love not with the arguably charismatic director, but his warm and sprightly alter ego Robin, who was borne out of a traumatic childhood experience. With its intriguing premise and storyline, Hyde, Jekyll, Me is a tribute to director Jo Young Kwang’s love for drama, but it is also a heart-warming tale of love and reconciliation with the past, told through the handsome star of 2010 hit drama series Secret Garden, as well as multi award-winning screenwriter Kim Jee Woon’s captive script. 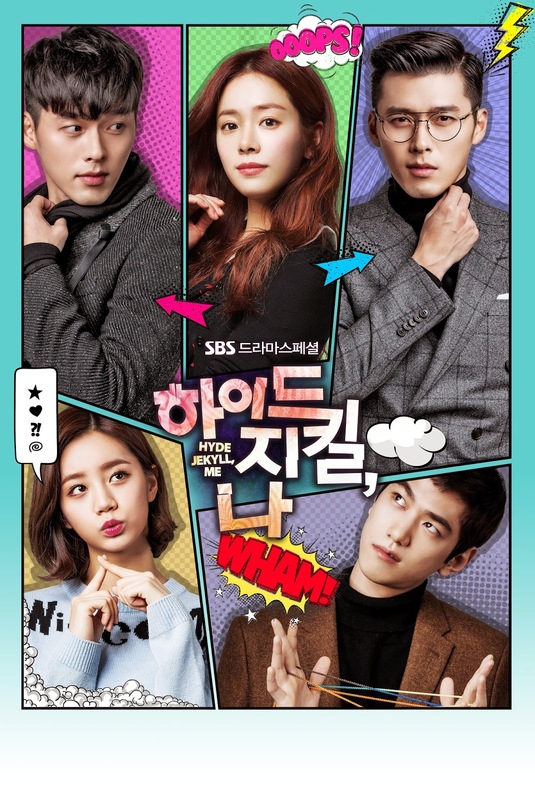 The 20-episode Hyde, Jekyll, Me is based on Lee Choong Ho’s web comic Dr. Jekyll is Mr. Hyde and also stars popular actor and model Sung Joon, as well as Hyeri from K-pop group Girl’s Day. Will the mercurial Goo Seo Jin and his less dominating, but unendingly charming arch nemesis Robin ever become one? And more importantly, what will become of Jang Ha Na’s adoration? Follow the fairytale as the curtain rises across Southeast Asia to present Hyde, Jekyll, Me on 25 February, 8.55pm/7.55pm(JKT), first and exclusively on ONE. Viewers in Malaysia can catch the drama series on ONE HD at Astro B.yond, CH393.